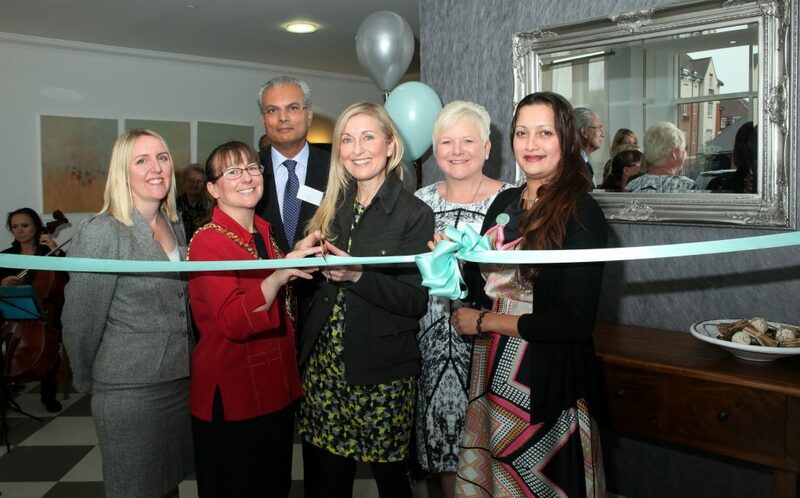 Fiona Phillips, who is also a great charity supporter and someone who personally understands the difficulties of living with dementia, unveiled the new plaque at the home and cut the ribbon announcing it officially open. Fiona joined other guests for an afternoon buffet, as well as unveiling a commissioned painting by local artist, Wendy Skinner-Smith. The Mayor of Abingdon, Cllr Samantha Bowring, also attended the opening, as well as Alnur Dhanani, Chairman of Carebase and Nicola Coveney, Managing Director of Carebase.